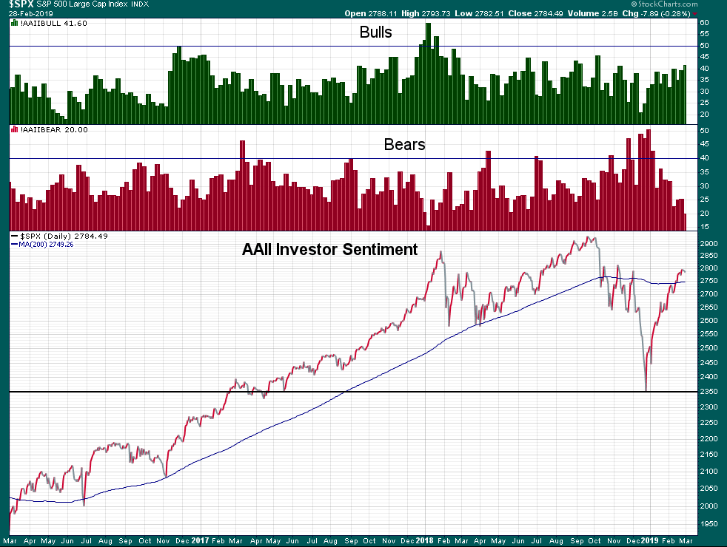 Price Is The #1 Fundamental: AAII Sentiment Survey & Westhaven Ventures | Energy and Gold Ltd. Regardless of what school of market thought we come from, the fact is that price (and price action) is the #1 fundamental in financial markets. Price shifts market participant sentiment stronger than any fundamental news or story telling; price has the ability to allow companies to more easily raise capital, price is able to make a mediocre story seem compelling, and a compelling story seem hyped up or unrealistic (depending upon price trajectory). Yes, price is powerful and all of us are slaves to it. 90%+ of market participants would rather buy stocks and other assets at higher prices than at lower prices. However, one thing I will note about this phenomenon is that the longer we expand our time frames the more willing human beings seem to be to buy into price declines. Take real estate for example. Most people are rational enough to not be willing to pay $900,000 for a house that has historically sold for $500,000 and $300,000 over the last 20 years (since it was built). However, just about everyone would be willing to buy a $300,000 house that had sold for $500,000 and $900,000 over the last 20 years. There is something about the stock market (futures market, currencies, etc.) and its rapidly flickering quotes and fast money environment that has most people shift their perception of price action. Mainly because they aren’t planning to hold for 10-20 years. Most stock traders have a holding period of a few weeks at most, and even investors are increasingly holding positions for less than one year. Are the prospects for forward returns better at SPX 2785 than they were at SPX 2350 two months ago? In fact the prospects for forward returns are significantly worse after a ~20% rally and sentiment shifting from extreme bearishness to extreme bullishness. This doesn’t matter, because as the title of this post lays out, PRICE RULES THE WORLD. Price is the #1 fundamental that everyone focuses on regardless of whether they claim to ever glance at a chart or analyze a company’s “fundamentals”. Turning to the junior mining sector another interesting example of this phenomenon comes in the form of Westhaven Ventures (TSX-V:WHN, OTC:WTHVF). Some of you may know that i’ve followed Westhaven pretty closely for the last year ;). Potential bear flag breakdown if completed would reach the rising 200-day SMA around C$.60 – caveat: these patterns morph all the time and regularly turn into something else. But for now, Westhaven’s chart technicals are in sharp contrast to the company’s fundamentals. Which will turn out to be correct? Due to the highly speculative nature of the sector and the relatively tiny market caps, momentum can be a very fickle thing in the juniors. When a company has the winds at its back, and delivering increasingly optimistic news releases, it can sometimes feel like there is no limit to how high a share price can rise (BTW, this feeling of “the sky is the limit” is always WRONG…there is always a price which will motivate new supply to come into the market and sell). In the case of Westhaven everything seemed to be just peachy as 2018 rolled to a close and then things turned quite suddenly with the company taking quite a bit longer than expected to deliver drill results. Then, once drill results were released they fell short of the market’s enormous expectations (one need only review the chat comments on the CEO.ca WHN channel the week before the NR in order to understand how wild some people’s expectations were). In one fell swoop Westhaven lost its momentum and it hasn’t managed to regain it since. The share price was C$1.20 prior to the NR with the disappointing drill results and it is C$.82 as of Friday’s close, a more than 30% decline which has shaved off nearly C$30 million in market cap. WHN has more than C$3 million in its treasury and the company is fully cashed up to drill 20,000 meters at Shovelnose this year. WHN has never had as much information as they do now. Either in terms of drill data or geophysics. The company is putting the pieces of the puzzle together and working hard to delineate a potential world class deposit in one of the best locations/jurisdictions possible. After struggling for several years to gain a following and get attention, Westhaven now has the eyes of a significant number of junior mining investors, including nearly a dozen major mining firms that have visited Shovelnose in the last few months. Simply put, if the puzzle pieces come together the way Westhaven management think/hope they will, it won’t be difficult to move this share price MUCH higher. But for now we wait as negative price action, the #1 fundamental, dominates the story. 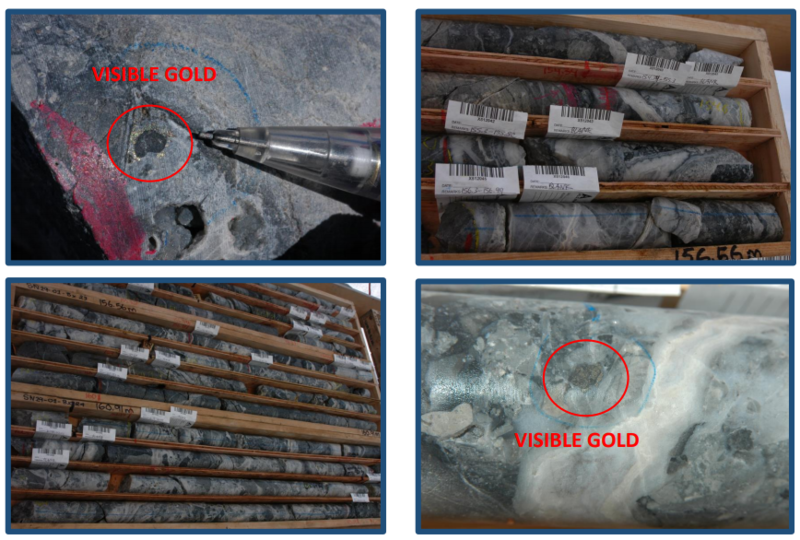 Visible gold with the classic ginguro banding that has historically graded well in holes SN18-12, SN18-14, SN18-15, SN18-18, and SN18-21. SN19-01 core looks a lot like core from SN18-14 from my estimation. WHN management are eager to tell their story in the sub-arctic conditions of March in Toronto and WHN CEO Gareth Thomas will be speaking on Saturday at MIF, the company will also be attending PDAC. As always the assays will do the talking and I’m hearing the core for SN19-01 is being sawed and split as we speak and turnaround times at the lab should be relatively fast considering there isn’t a backlog at this time of the year. Disclosure: I am biased on Westhaven Ventures as I own a large slug of stock and Westhaven is an E&G sponsor.